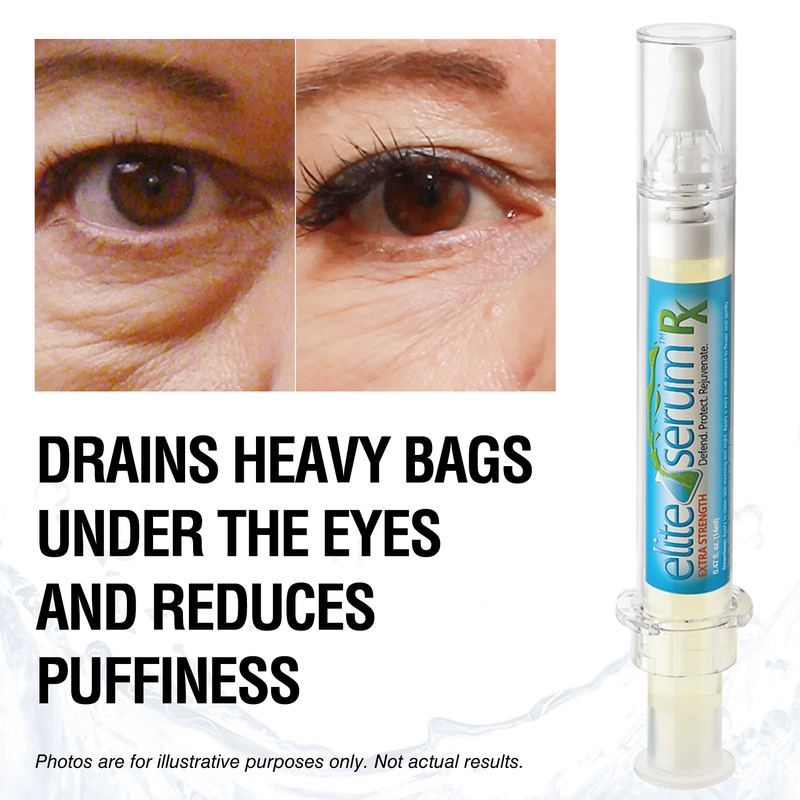 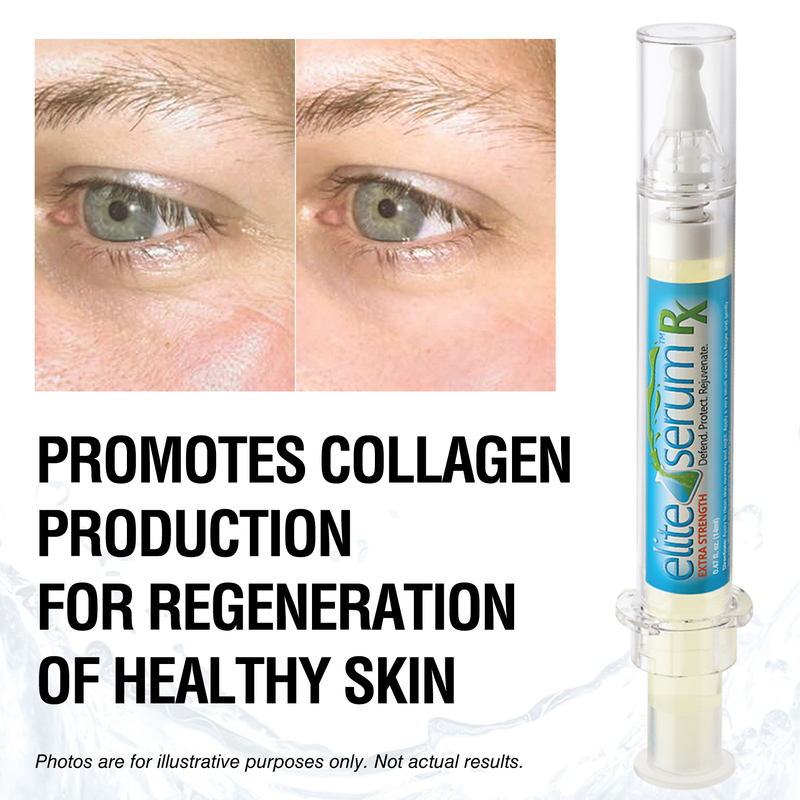 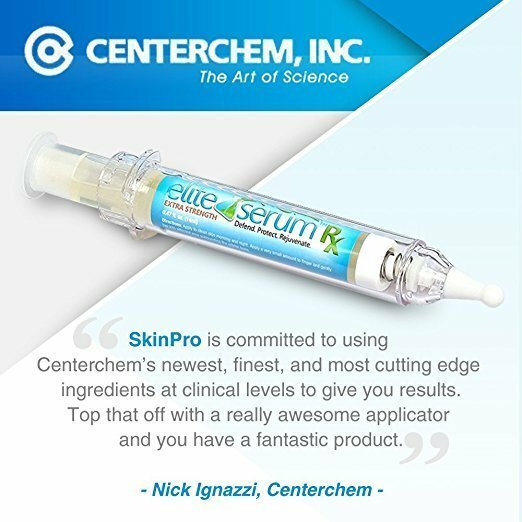 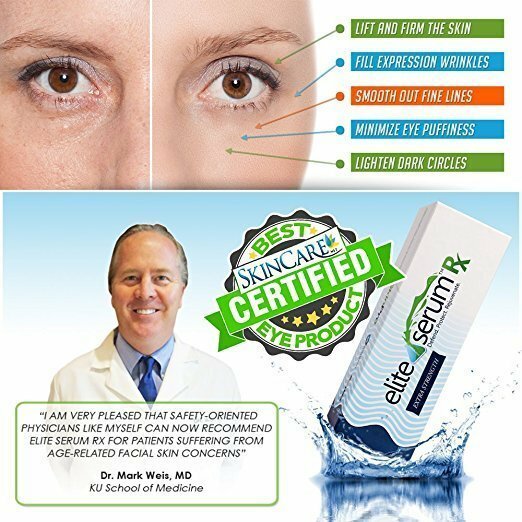 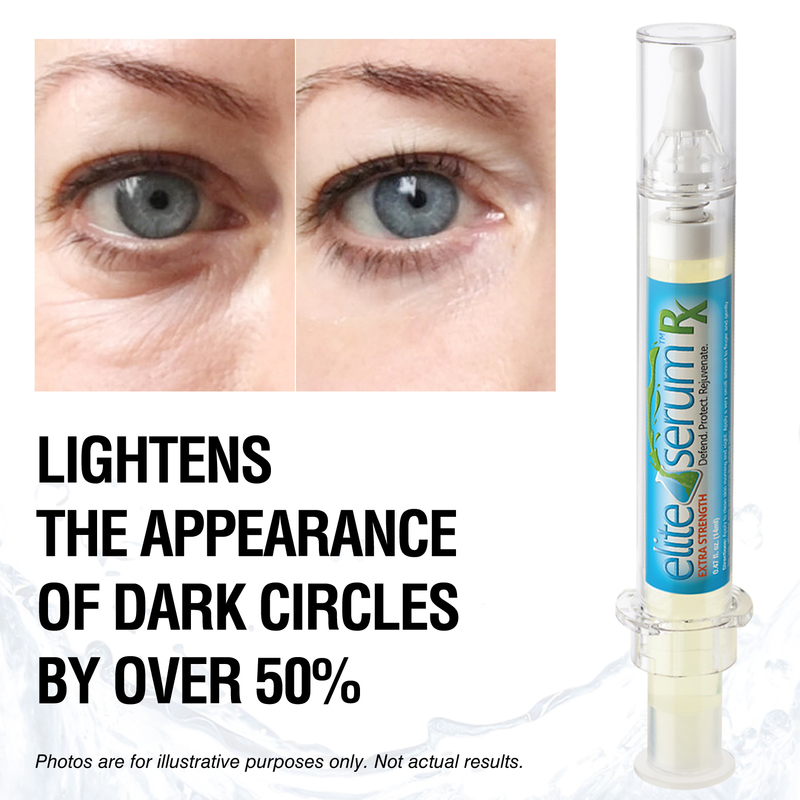 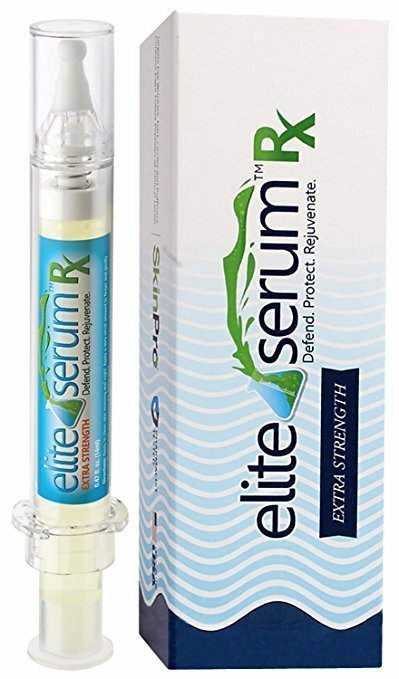 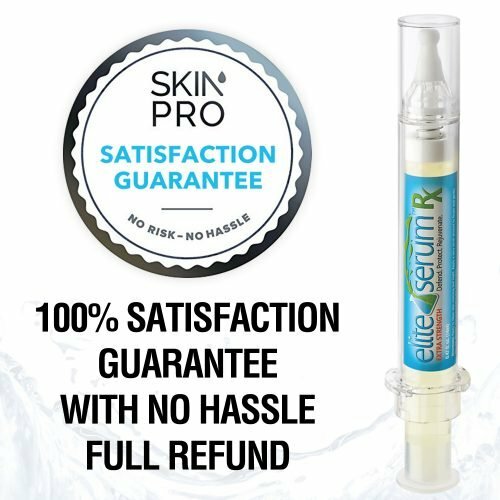 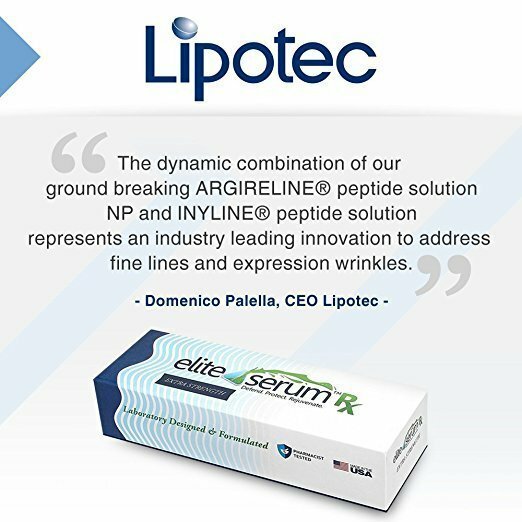 Elite Serum Rx is the flagship product of SkinPro and the best anti-aging serum on the market for wrinkles, puffiness, and dark circles around the eye area. 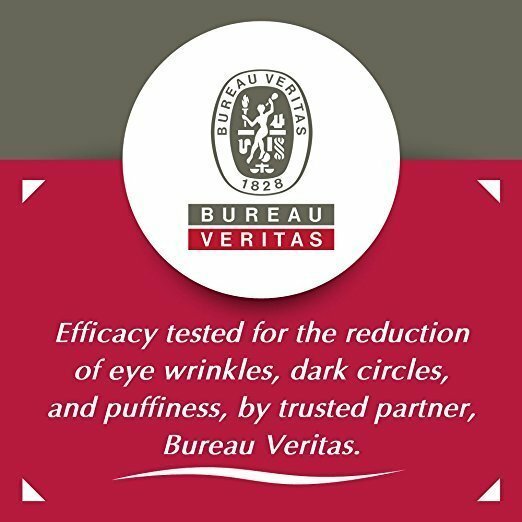 Developed by our team of cosmetic pharmacists, this proprietary blend contains Argireline, a potent anti-aging peptide clinically studied to reduce wrinkles around the eyes by 40%. This serum is formulated with a synergistic combination of peptides that help the skin retain moisture, boost the production of collagen, rejuvenate the skin, and boost repair of the skin at the cellular level. 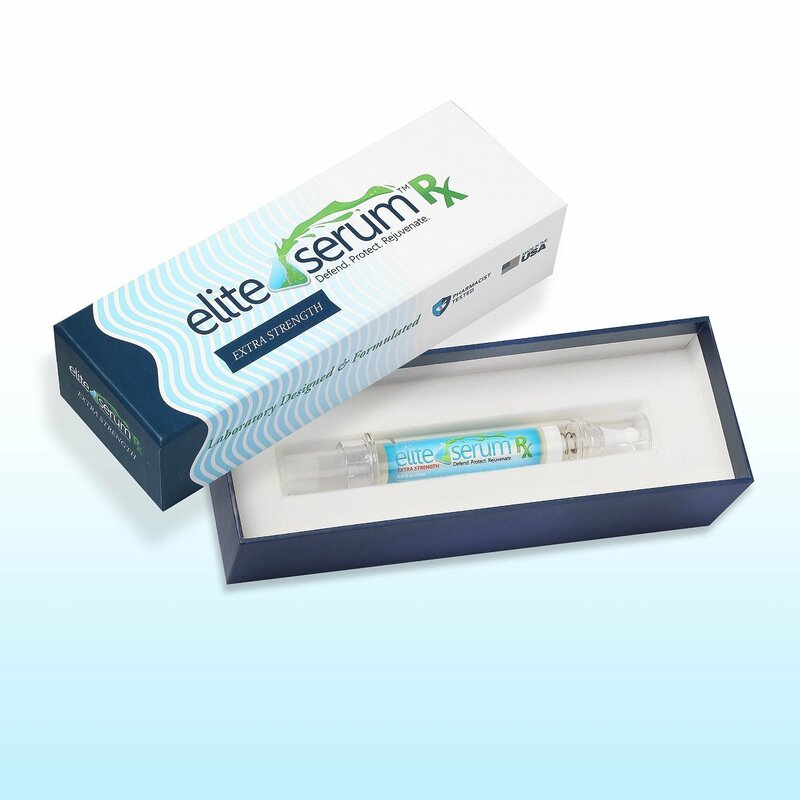 When using Elite Serum Rx twice daily, your skin will return to a fuller, smoother, tighter appearance for younger-looking skin. 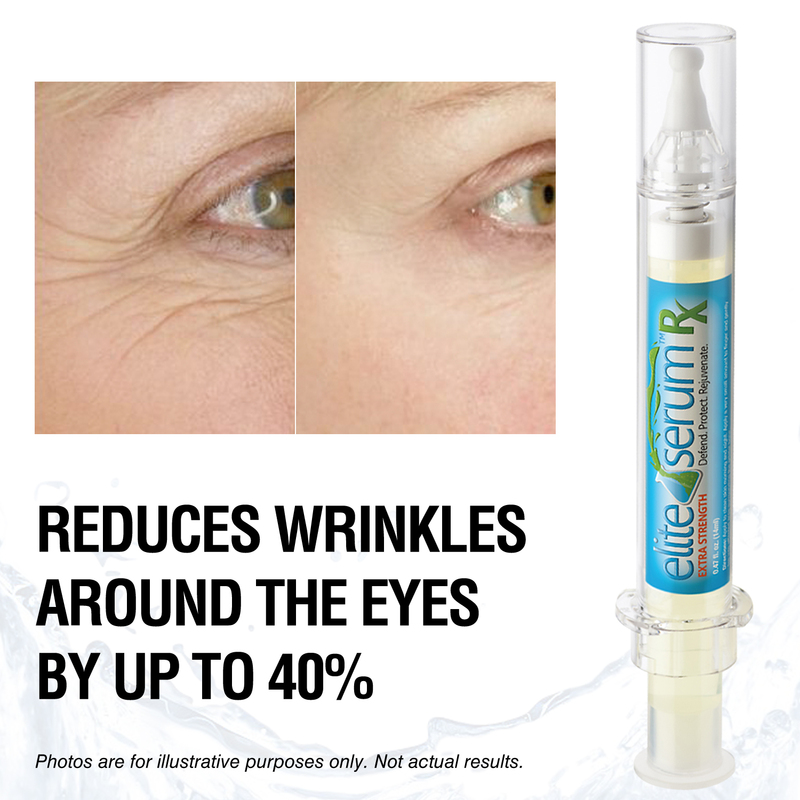 Tissue growth factor is enhanced with the inclusion of peptides such as Syn-Coll, Snap-8, Syn-TC and Inyline to hold the skin together and dramatically reduce wrinkling deep at the source. The skin cells will be firmer and tighter, pulling the skin taut, reducing the signs of aging that plague many in the eye area. 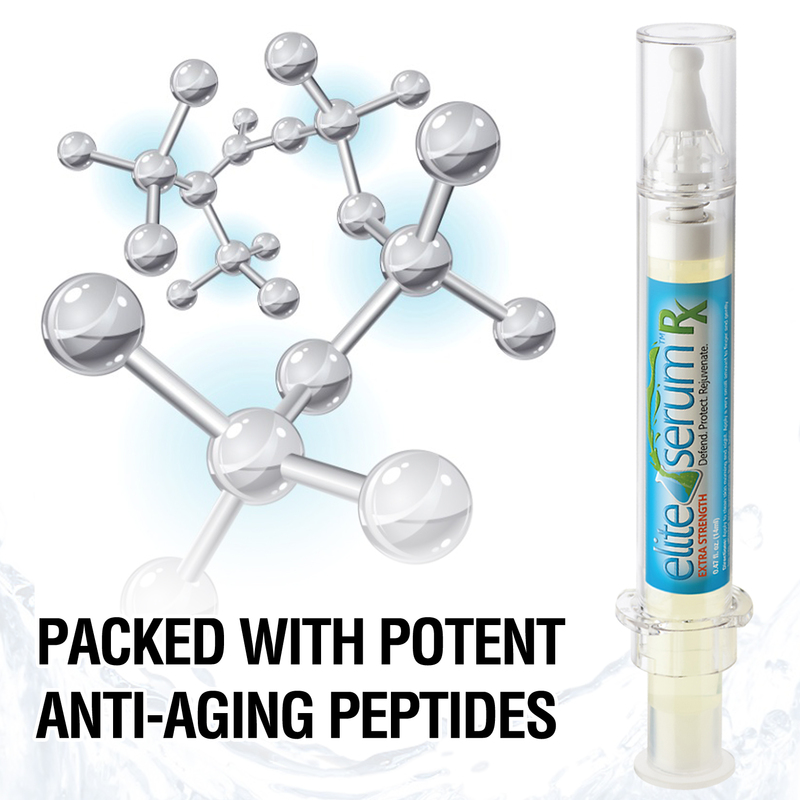 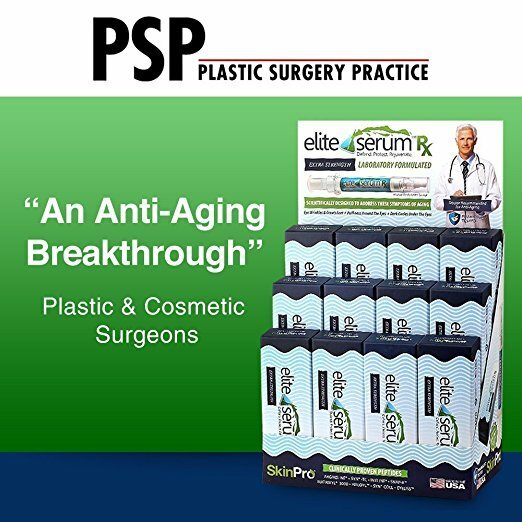 This age defying formula is lauded worldwide and distributed through a physician referral network in dozens of countries. 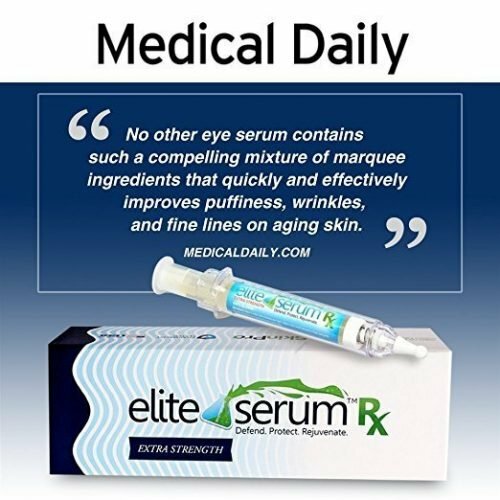 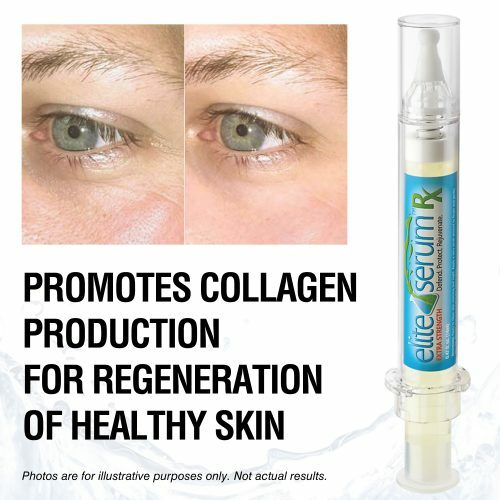 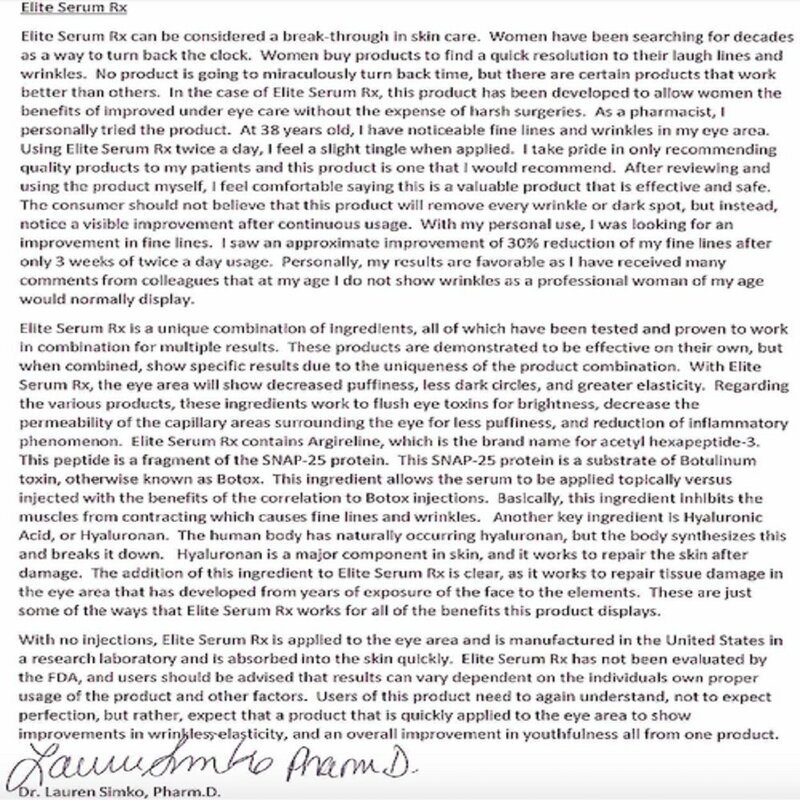 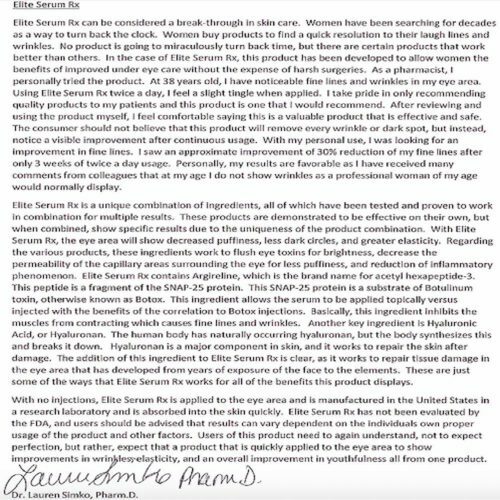 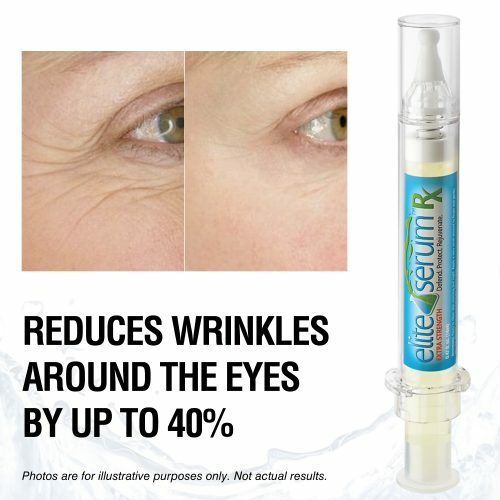 An amazing alternative to cosmetic injections, see what the award-winning Elite Serum Rx can do for you!